Xiaomi is back to bring another monster flagship smartphone to the game to battle with other, Xiaomi Mi 6 was launched today April 19, 2017. We will be highlighting some of its amazing features, and specification it has, Xiaomi is the iPhone of China they never disappoint competing with the likes of iPhone, Oneplus, Huawei and Samsung and adequately. Xiaomi Mi 6 is a 5.15-inch FULL HD device with Resolution 1080 x 1920 pixels which has a display screen that reduces glare to reduce eyestrain while using the device. The screen has a four-sided 3D glass feature which makes it appear sleek at first glance and premium, it is powered by 2.45GHz octa-core Qualcomm Snapdragon 835 SoC processor alongside a 6GB RAM and 32/64GB Internal storage, also uses Adreno 540 GPU. The CEO of Xiaomi boasted that Xiaomi Mi 6 Snapdragon 835 has better graphics performance than iPhone 7 at the launch event Mi 6 beat the Samsung Galaxy S8 in the benchmark results such as AnTuTu. Mi 6 has a 12-megapixel dual camera setup at it back similar to iPhone 7 Plus cameras configuration and a front 12MP wide-angle lens and another 12MP telephoto camera for a 2x lossless zoom this makes your selfie experience unique. 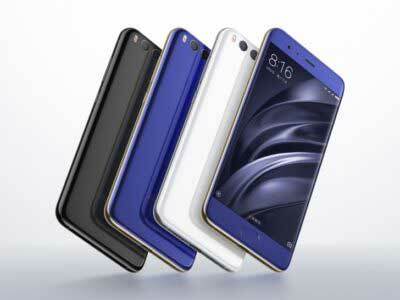 Xiaomi Mi 6 feature 4G+ networks with a upload speed up to 100Mbps and download speed up to 600Mbps. This device is the first in the history of Xiaomi device to be integrated with dual speakers. Xiaomi confirmed that the Xiaomi Mi 6 comes with different MIUI optimisations which enable the device to be up a whole day. The new MIUI optimisations can now restrict it applications from starting up, and also comes with a standard battery saving mode.